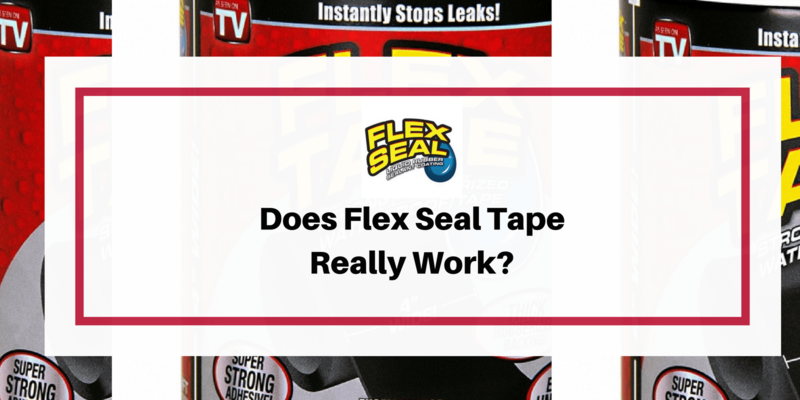 Flex Tape Reviews: Does This Adhesive Sealant Really Work? Let's face it, things break when you have a home. It's one of the curses of having a home. But you don't always want to spend hundreds of dollars having a repairman come to fix simple problems. Fortunately there are a variety of products available online that can help save you money and fix simple problems. One product that promises to fix leaks fast is Flex Seal Tape. You have probably read many of the as seen on tv Flex Seal Tape reviews online already. But if you want to know if flex seal tape actually works, then this review is for you. Flex Tape is a rubberized and waterproof tape that is designed to to patch, bond, seal and repair various types of leaks. The Flex Seal company's headquarter is in Dayton, New Jersey. How Does Flex Tape Work? Flex Seal Tape features a triple thick adhesive that creates a watertight seal on many different surfaces. These surfaces include metal, PVC, wood, rubber, drywall, stone, fiberglass, and much more. The tape can be used hot, cold, wet, or dry. The tape comes in either white or black. There are three sizes to choose from. The large size is 4 inches wide by 5 feet long and the Jumbo is 8 inches wide by 5 feet long. The Giant Size is 12 inches wide by 10 feet long. You can watch the flex tape commercial or infomercial down below to see it in action. How To Use Flex Seal Tape? To use the product, you just cut the tape to the size you need and remove the backing to expose the adhesive. You then position and apply the tape to a clean surface by pressing down firmly and smoothing out any air pockets or bubbles. Keep in mind that once the tape is applied firmly, it cannot be repositioned. It may take up to 24 hours to reach a maximum hold to the applied surface. How Much Does Flex Seal Cost? On the company's website, you can purchase the large roll for $19.99 and the jumbo roll for $29.99. The giant roll is available for $49.99. There is a $9.95 charge for shipping and a $9.99 processing fee. However, you can also purchase the sealant tape on Amazon.com, which offers the best discounted prices and you can avoid any shipping and handling charges. 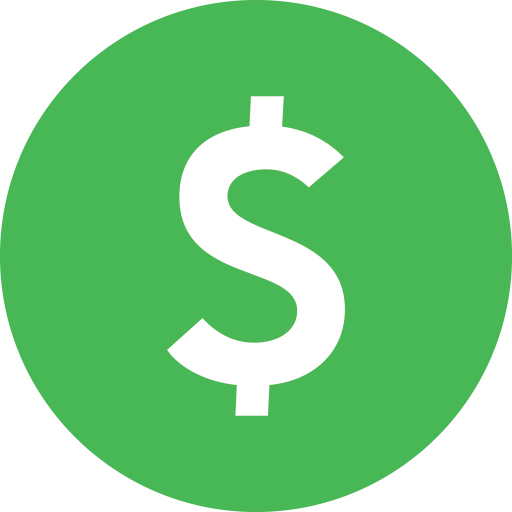 If you want a more affordable price on this product, you might want to try websites like Ebates.com, Raise.com, and Swagbucks.com for discount codes, rebates, and promo codes. You'll get discounts with Ebates on many of your purchases, including Flex Seal Tape. Swagbucks will also give you discounts like Ebates plus free gift cards and cash back. Raise lets you to purchase gift cards at a discount. If you purchase Flex Seal Tape on Amazon.com, you can get a great deal especially if you are a Prime member. Stacking all these deals together will save you a large amount of cash on Flex Seal Tape as well as many other purchases. Triple Thick Adhesive: Bonds to many surfaces for quick repairs. Variety of Sizes: The product comes in a few different sizes and widths. If you need to patch a large hole, you can get a tape roll wide enough to repair the damage. Waterproof Sealant: The product won't come unglued under water. Money Back Guarantee: If you are unhappy, you can return the product to the company within 30 days for a full refund. Added Product Bonus: If you purchase the product on the company's website, you will also receive your choice of a few other of the company's products. At the time of this review, the company gives you the option of choosing a Handy Can of Flex Seal, a Handy Can of Flex Shot, or a Handy Can of Flex Seal Liquid with your purchase. Where Can I Buy Flex Seal Tape? Although Flex Seal Tape is an as seen on tv product you can purchase it at places like Lowes, Walmart and Home Depot. I would recommend visiting these stores via ebates.com so you get cash back. Or if you want to get the best price then you can buy flex seal tape at Amazon.com. It Doesn't Work… Sometimes: Some customers say that the product flat out did not seal properly to certain surfaces. But the manufacturer states that it may not adhere to certain surfaces such as greasy, oily, waterproof repellant, or dirty surfaces. It may not also adhere to some highly plasticized materials and some fabrics. You also cannot use it for tire or engine repair. No BBB Profile: At the time of this review, the company does not have a listing on the Better Business Bureau website. There is no rating or accreditation for the company. It is also hard to determine how well the company handles refund requests or other customer service issues. If you are looking for an alternative solution for quick repairs, there are a few other choices available. The flex seal black spray seems to work better for some people. Another popular alternative is FiberFix which was introduced on the Shark Tank TV show several years ago. Another choice you might want to consider is the Gorilla tape. So Is Flex Seal Tape A As Seen On TV Scam or The Real Deal? Overall, Flex Seal Tape appears to be an excellent product for sealing leaks on a wide range of surfaces. The waterproof and rubberized tape can hold its grip even under water and comes in a wide variety of sizes to choose from. The company offers a 30 day money back guarantee on all purchases. However, it may not grip on certain surfaces and the company charges extra for shipping and handling when you order from them. Now that you have read all the Flex Seal Tape reviews online as well as mine, you are ready to make a decision purchase for yourself. If you have already tried Flex Seal Tape, I want to hear from you. Feel free to post a quick comment down below. Flex Seal Tape seems to be a hit or miss product for customers. Some people claim it works while others say it doesn't. It seems to depend on how you use this product. I’ve been searching for something that has a stronger seal than duct tape. Flex Seal seems to be permanent which is something I would ideally go for since I’m not very experienced in power tools. This seems simple enough! I’m curious if it’s recommended on outdoor surfaces over extreme weather conditions over a period of time. I live in the south, so it gets hot and humid during the summer. Thanks for your insight! Based on our research it all depends on the surface. I tend to think the flex seal spray is a better option. I’ve used a similar product to stop a leak from a window in my basement. So I feel a flex seal spray would probably be better. Thank you for taking the time to review this product. many as seen of TV products do not live up to the hype. Do you know if this product is paintable? It would be great to use it for repairs if it can be matched to the original color of the item being repaired. Also, how would this hold up in freezing temps? Would the adhesive crack in below zero temperatures? You’re welcome. I’m not really sure about your questions. There is a question and answer section listed here that you can check out. I tried to use duct tape today to patch up a leaky hose – I bet Flex Seal Tape would have worked better. I guess next time I can give this a shot given what you said in your review. All in all it sounds like the flex seal tape would have a lot of common uses in the home. Thanks for the review. You’re welcome Rose. Yeah I’m sure flex tape would have worked better to stop a leaky hose. Although duct tape is pretty sturdy to fix a lot of things. I just don’t think it’s a great thing for liquid leaks for the long term. Thanks for this thorough review. Not only did you give me the pros and cons, you also helped me decide if it’s best to buy online or in the store. Some people might “need it now” and have to pay more in-store. It really seems like it’s a great product to have for “just-in-case.” It’s a good temporary fix until the repairman can make it out sometime between 9-4:30. Would you agree? This might become part of my camping/hiking kit to help repair tarps or act as a tinder source. I will be coming back for more great reviews! You’re welcome Neil. I’m glad you enjoyed it. I think in most situations it is a good temporary fix. But might be a long term fix depending on your issue. I know I’ve used a flex seal spray to stop a leak near my basement window and it’s been a permanent fix that probably saved me hundreds of dollars from a repair man. So it depends on the situation and fix you need. I personally have not used the tape yet, but I use the spray quite often. I just recently noticed both of my concrete bird baths were leaking, so I sprayed the inside of both of them with the clear spray seal and it worked great. no more leaks. Hey Dennis, thanks for sharing your experience with the spray version of this product. I’ve used the spray as well and it worked great for me too. Very informative post Eddy! I heard about the Flex Seal company a fews years ago and currently have and use their flex seal spray. I am happy to say that it works great! I wasn’t aware that they made a tape product also. Thanks for the coupons, will definitely be using them! I’m a big fan of their spray as well. It has worked well for me. The tape was new to me as well. Thanks for chiming in. Opened my in-ground pool this spring to find a crack in the flange of my filter vessel. When the two halves of the vessel were clamped together (a large steel band), the crack allowed water to leak and spray out. Tried high quality duct tape, improved the situation some, but there was still a persistent leak. Pool company suggested two-part epoxy as a temporary fix, replacement of the vessel for a permanent fix ($800+). I went back to my Ace Hardware for this tape ($14) and wrapped the crack with two inches of the tape. Put the two halves back together, tightened the clamp, no more leak. If I had a pinhole in that vessel, I don’t think this tape would work. Water under great pressure can push a hole through stainless steel. I don’t think you can expect it not to push through rubberized tape. I’m as skeptical as the next guy about ASOTV products, but this one, used in the right situations, seems to work. I think the pricing is outrageous for 5 LF of tape, but, until someone else offers a product equally effective at a lower price, Flextape can charge whatever the customer will pay. To fix my potentially expensive problem, the $14 was well spent.